Valve Spring Force (compressed): 57-64 lbs. Weight: 63 lbs., 4 oz. Clutch Mounting Surface: True with crankshaft within .005″ TIR. Clutch Mounting Shoulder Diameter: Concentric with crank flange diameter within .005″ TIR. Float Level: 1″ from float to machined surface. 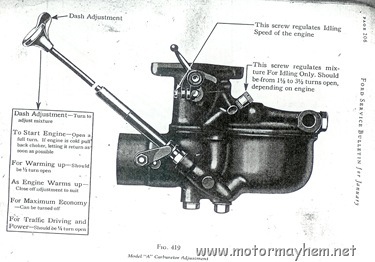 To remove a stuck head from a “firing” engine you can loosen the head nuts about 1/8″ from the head and start the motor the compression will pop the head up and the motor will stall. 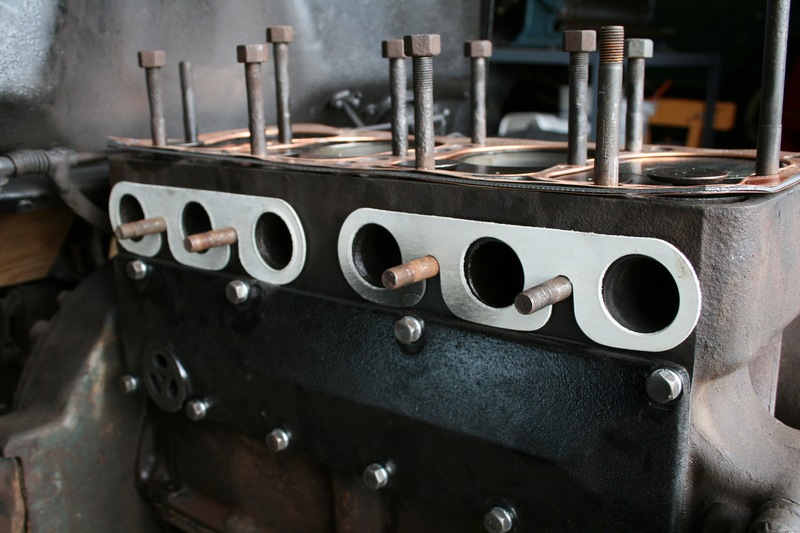 Rebuilding a 1930 Model A engine. Looking for the design clearance between valve tappets and block bore. What was the new bore dimension? Introducing our latest Hip and Fun promotion service the MAGIC-BLASTER. This Promises so many Hits and Tons of Exposure you’ll Swear Merlin himself cast a Magical Spell all over the Internet. Featuring 1 Click Submit and then HOCUS POCUS Your Solo Email is Sent to Over 500 MILLION Contacts. Nothing to Join and Nothing to Validate. Not to mention Every Solo Email is Sent to its Own Fresh List. Double Verified making them Double CAN-SPAM Compliant. Recommended gasoline to use? Octane? The best fuel in the US is our top line: 93 octane or 91 octane in exempt areas. The octane is higher than the engine needs it. But you want the additive package of the expensive fuel. This helps against valve deposits, piston deposits, gives longer storage time before fuel degradation. Also, the ‘good’ fuels have a better boil-off curve giving us more consistent settings of the spark timing. 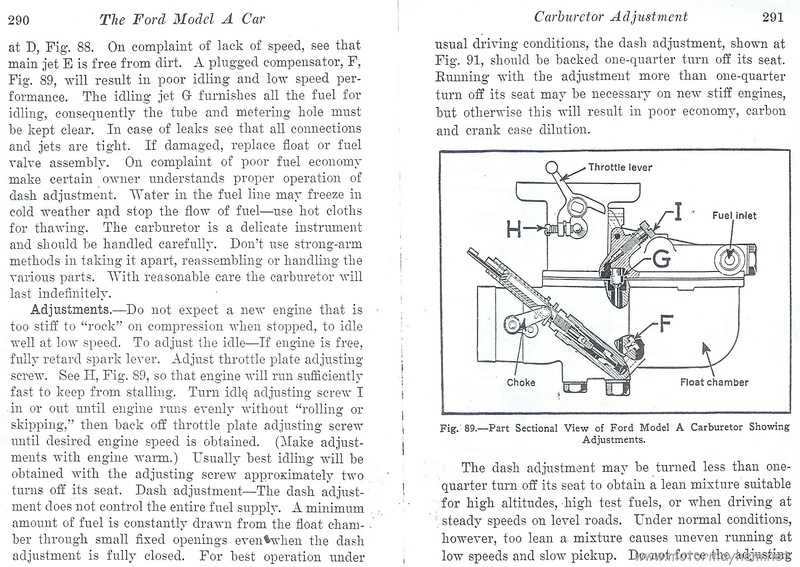 What is the weight of a A Ford engine? Where do u add oil after u drain oil for a oil cgange on a 1928 model a roadster pickup?? Any idea how to get a stuck head off of a motor that isn’t running? Even if the engine doesn’t run, with the head stud nuts loose you may be able to crank the engine over and pop it loose. Otherwise soak the studs with PB blaster and thread some bolts or lifting eyes in the spark plug holes and pull from there or carefully try to pry the head up, but you run the risk of damaging the sealing surface of the head or block. 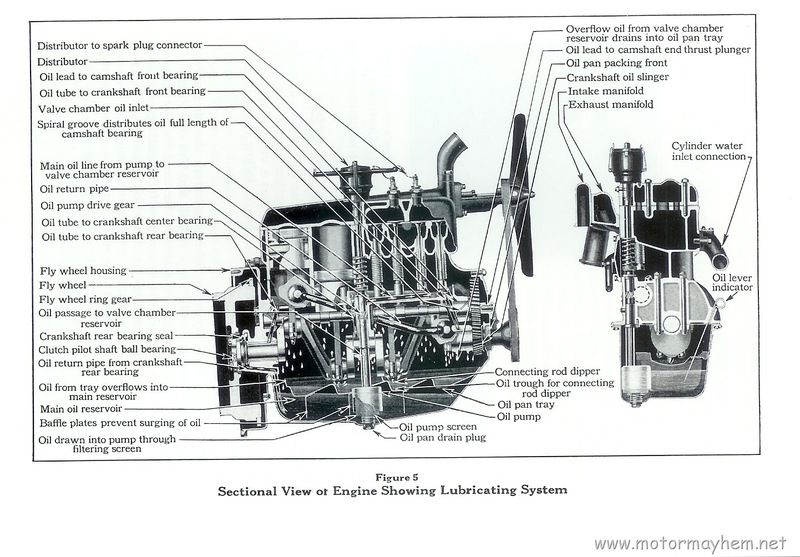 Does anyone know of anyone that rebuilds model a engines in Missouri or Iowa? 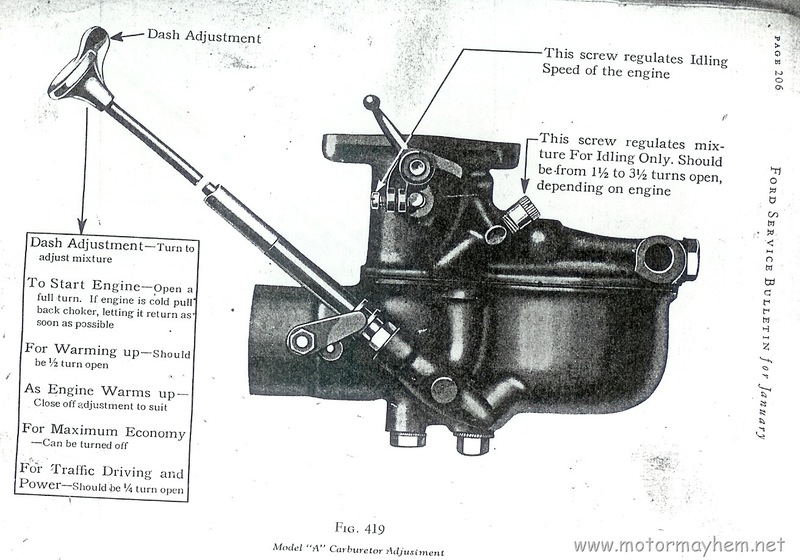 I’m Vincenzo car mechanical and write from Italy …I write because need more information about distribution timing and adjustment valves for FORD MODEL A 1931. I have more difficult for search information I’m loking for pictures and technical information for fix this engine. 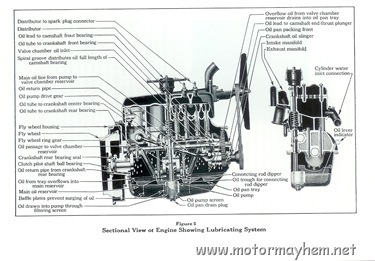 For instructions on how to set the distributor timing please refer to the owners manual linked to below. I have updated the post with the torquing pattern. Hope this helps. Es una excelente pagina para los amantes de los autos antiguos,me gustaria que publicaran especificaciones del Ford T y del Tucker Torpedo,saludos para todos desde Buenos Aires Argentina. Thanks so much on this information. I just inherrited a 1928 Model A from my mother, I am 28, so I have no idea about this. 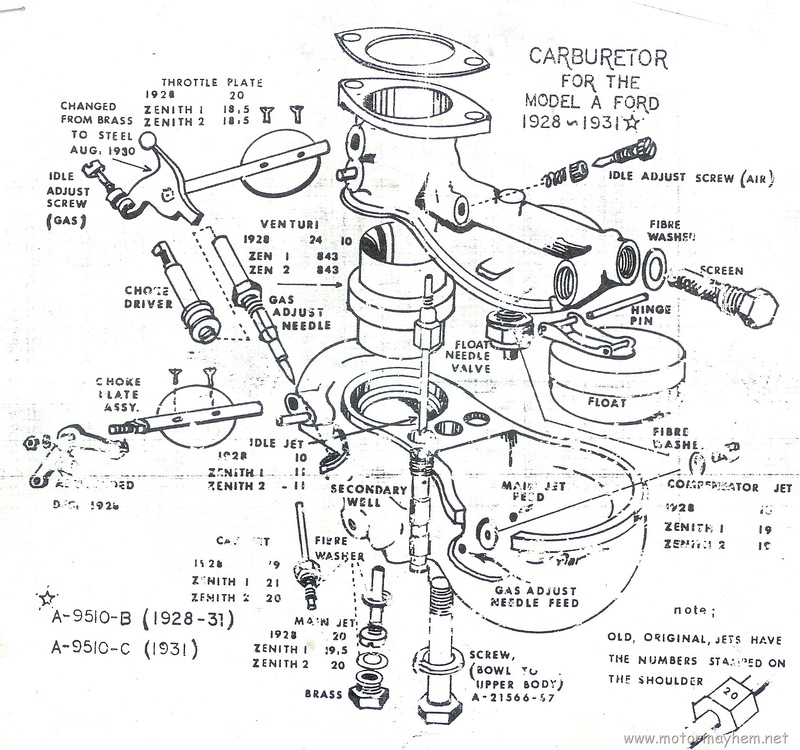 My father is going to teach me how to drive it, but this was very helpful, especially the diagrams. Thank you so much. I found the frame number on a 1930 A coupe on the left rail under the front fender. near the firewall. 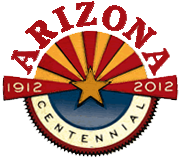 I have a 1929 Model A and a 1930 Model A sedan. I know nothing about how to operate these cars. Can you give me a simple exxplanation on how to get them started. THey have oil in the engine and I put water in the radiator. THey have a switch in both but I do not have the key. Do they have a battery ? I can,t find one on either car. The 29 has a crank. They have a distributor and are hooked to the plugs with metal strips. Is the throttle on the steering wheel? And does it have a spark control? They both are in good shape and it was said that they run just fine. THey are for sale but I need to see if they run properly. THanks for any help you mignt pass on to me. I am not a car guy so sorry for asking dumb questions. First off thanks for visiting the site. Always glad to help. You can click on any of the paged to have a larger,more readable version open. The battery for the vehicle is located under the drivers seat floor board in a tray mounted to the frame just in front of the center cross member. Be sure to remember that it is a 6V battery not a 12V and the chassis ground is the positive not the negative cable. Starting them is a little more complicated than a modern car, but by no means difficult. First you will need to make sure the gas is turned on at either the bottom of the gas tank (which is the cowl) or where it goes trough the firewall. Then you can insert a key and turn it to the on position. This will turn on power to the spark plugs. Then move the lever on the left side of the steering column all the way up/forward. This adjusts the spark for starting (I cant remember if it is retarding or advancing it). 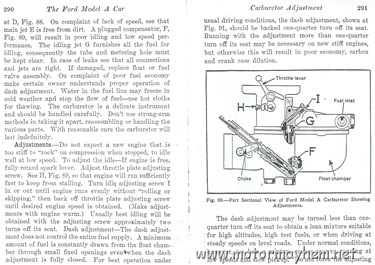 You can then pull the choke rod/carburetor adjustment in front of the passengers seat to choke the engine. Next making sure the transmission is in neutral you can activate the started by pushing the little silver pedal near the firewall between the drivers and passenger seat. Once it starts release the starter pedal and unchoke it. Also you can then set the spark lever around the middle. Be aware I have had numerous starter pedals stick when I release them so you may have to stomp the pedal or disconnect the batteries if you cant get it to shut off. There is a throttle on the steering column (right side) and a gas pedal. The one on the steering column is used mostly for adjusting the idle higher. 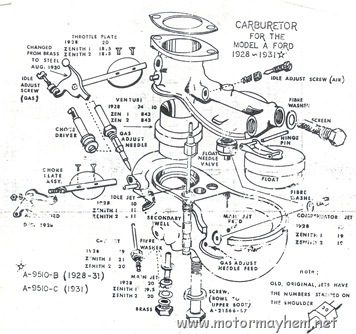 The metal strips from the spark plugs to the distributor are stock and are correct. Whomever is selling the vehicles should be able to start and run them for you if they claim they are in running order. Please feel free to ask me any more questions and I will be glad to answer them as soon as I can. Thanks for the informtion ! It worked, I got them started. i have another question! Where do I find the VIN # on these cars? or do they have one? Not 100% sure here but I think normally the VIN is the engine serial number or the frame serial number. If those numbers match the engine and frame came from the factory together. Otherwise there will be a VIN plate mounted somewhere on the vehicle that was issued by the DMV. When you get them registered you may be given a VIN plate to install as these didn’t have a real VIN when they were made. Where would you look for the vin# on the frame I`ve looked everywhere thank you for ur help. This is a great web site. There is no actual VIN #, just the serial # which may be around the firewall. If not the DMV will issue you a plate with a VIN number on it to install as these never had a real vin number. The frame serial number is stamped onto the top of the frame, left side, near the firewall. 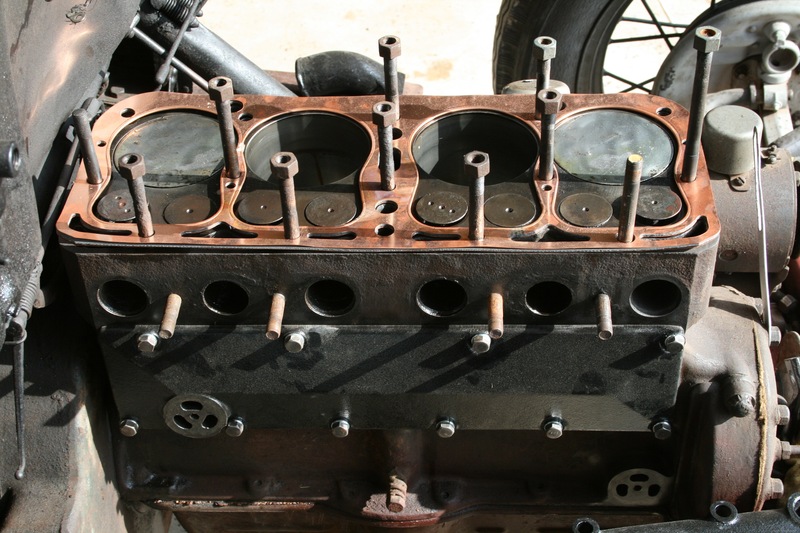 The engine serial number is stamped on a smoothed surface on the left side of the block close to the cylinder head. When the engine was installed at the factory one or the other was stamped to match (I forget which), so the original engine and frame serial numbers will be identical.